Second fixed blade ever. Now I’m on a roll. 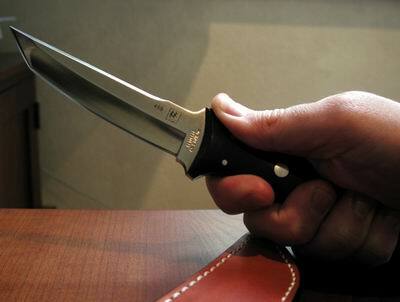 The Ronin is a scary-sharp little guy that is primarily a neck knife. 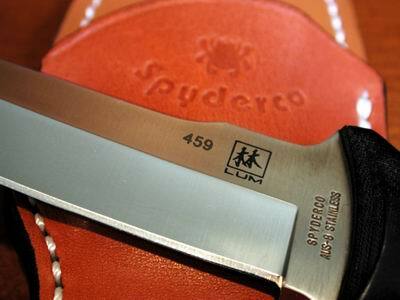 Designed by a master martial artist, this is the thinnest blade in my collection. 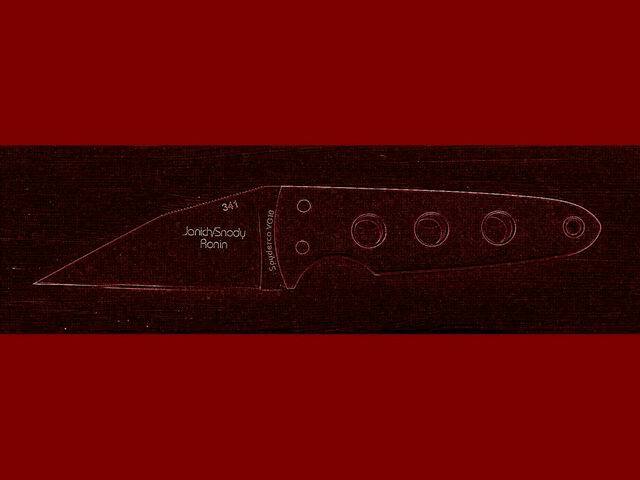 Amazingly, it also excels as a kitchen knife. A real slicer. 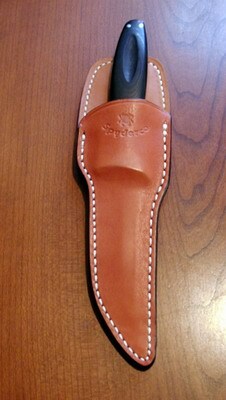 The sheath is a little large for such a small knife, but I won’t likely carry it around my neck. Horizontal cross draw all the way for me, using the included Teklock. Now for an artsy version, suitable for wallpaper. This was a big moment. 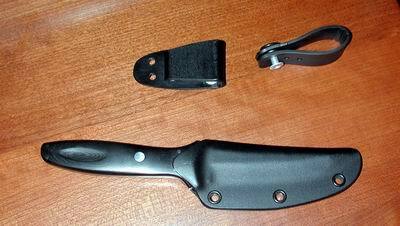 The first fixed blade of my collection. 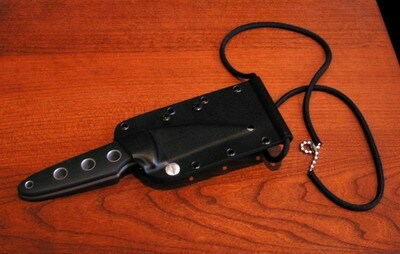 The Lum Tanto (FB03) Thank you ebay. First impressions, stocky, very thick spine. AUS8A steel was sharp out of the box. The apple-seed grind on the tip scares me for sharpening, but it be that hard, right? Everyone complains about the sheath. Me too. It’s huge. Too big unless you are perfectly cylindrical in shape and do not bend in the middle. So, any certified knut invests in the optional carrying system. 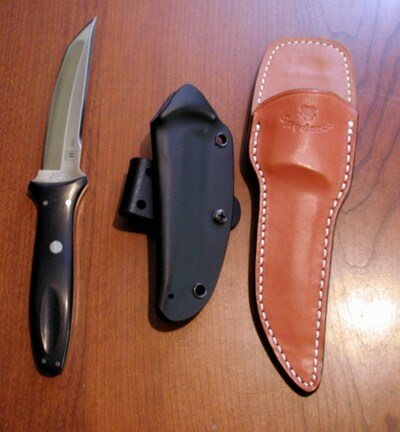 I chose River City Sheaths, and this is much more like it. Check out the space savings. The first night I got it I tried to use it for cooking. Meat cutting=good. Veggie slicing=not-so-good. The blade thickness is not ideal for thinly slicing onion or small mushrooms, but many utility knives (except the thinnest) let down on this task. It was superb to fractionalize my steak later that evening. I got this one for light hiking/camping, it looks like a winner.